Read more in our residential section. 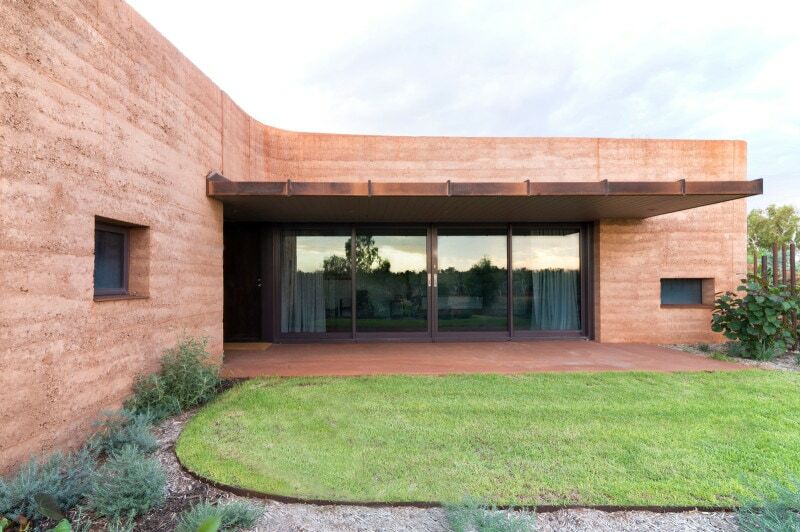 Rammed earth extracted from the local clay pans, pebbles and gravel quarried from the river bed are the palette of materials that blend into the landscape. The pavilion at the top is the multi-functional hub, meeting room and chapel. 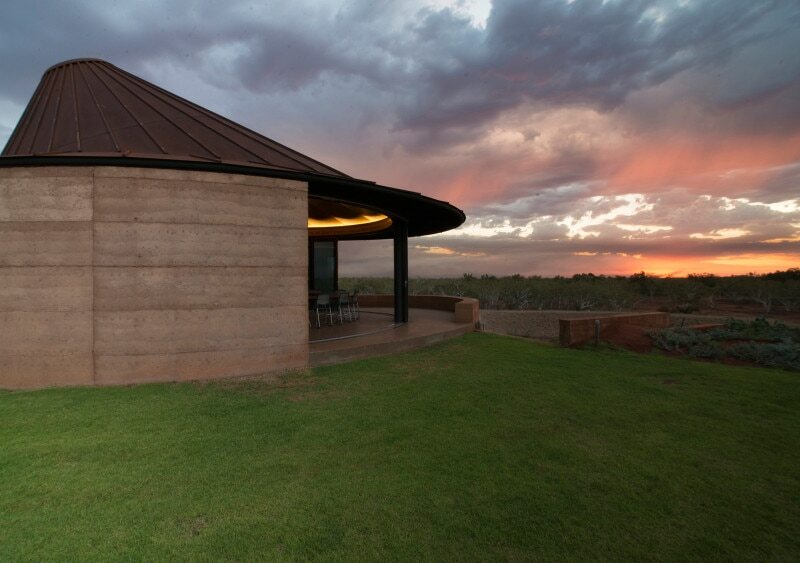 The awning roof is a Cor-Ten steel cyclonic shade frame, mirrored by a concrete slab on (the) ground. 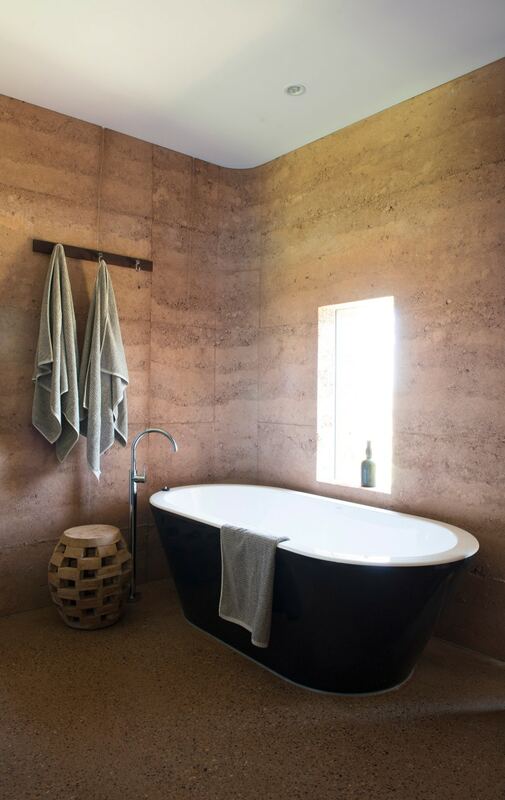 The concrete slab contains gravel and aggregates from the local river, which lend a reddish colour to its polished surface. 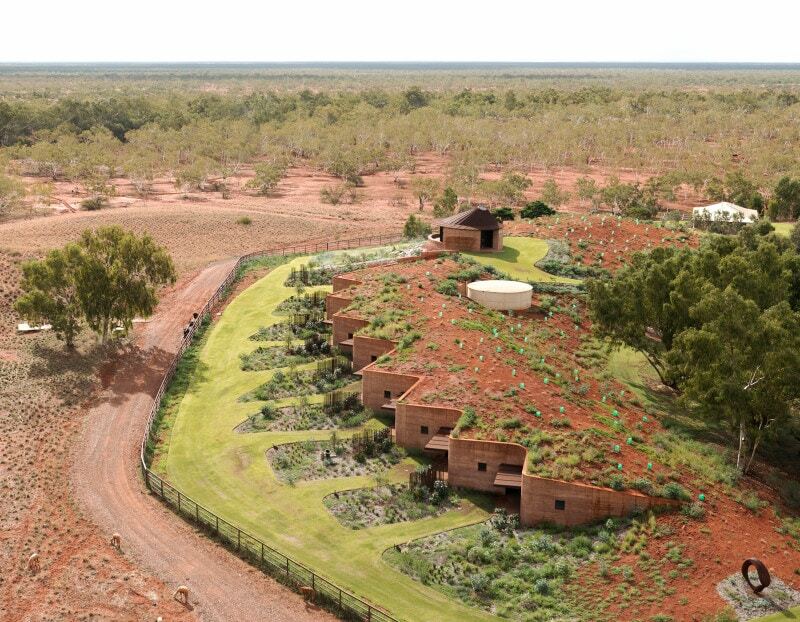 Internally, one finds a comfortable environment, cooled by the rammed earth walls and the metre deep sand hill. The interior design by Sarah Foletta is a restrained, natural and robust selection of materials and furniture. 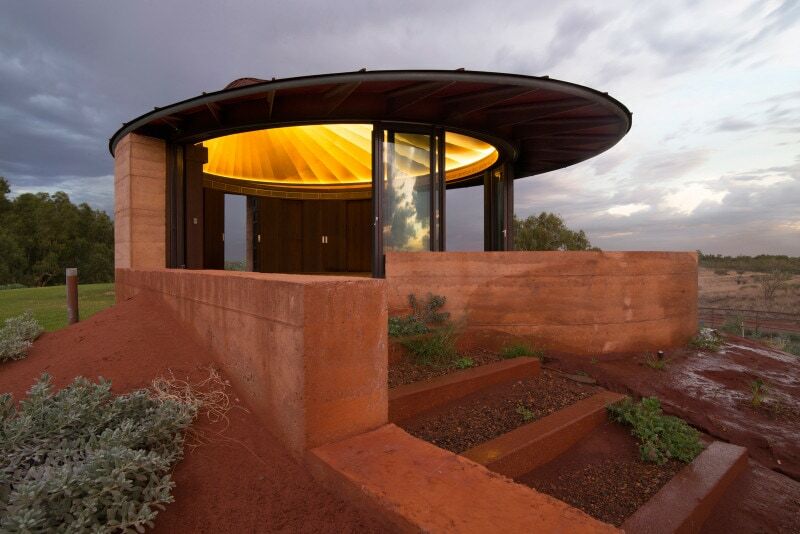 Gold annodised aluminium sheets line the ceiling of the ‘chapel’, cyclonic rated, curved sliding windows can close the pavilion to protect its interior from dust storms. 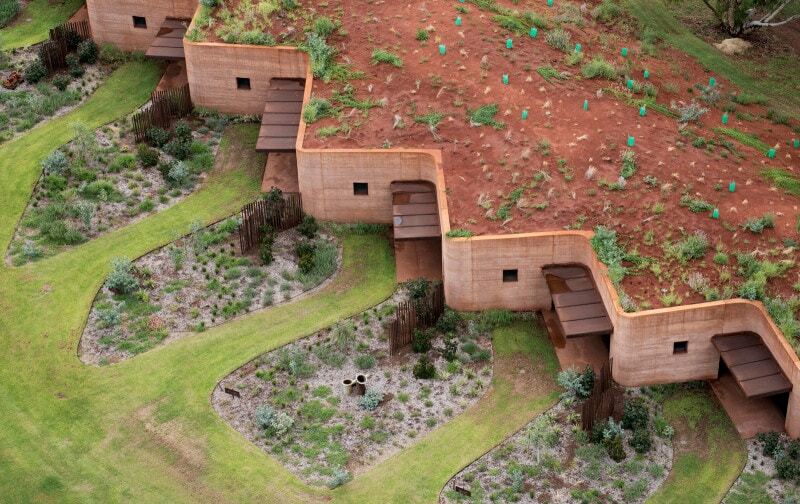 The roof is made from Cor-Ten steel sheets, forming an oblique cone and culminating with a skylight in the apex. The roof was fabricated off site and transported in two halves.